But at two of Santa Clarita’s most frequented parks, Placerita and Vasquez Rocks, who and where and how should one play is up for a debate. On Thursday, July 12, the Los Angeles County Department of Parks and Recrecreation is inviting all interested persons to attend a community meeting to discuss the proposed usage changes to Placerita’s Canyon Trail and to the Heritage Trail at Vasquez Rocks. “The department is encouraging all user groups to provide their comments and feedback on the Draft Trail Assessment reports at the July 12 meeting,” said Kaye Michelson, special assistant at Parks and Recreation. The purpose of the meeting is to discuss the county’s draft report of the two trails. At stake is a double-edged sword of recreational needs: to determine whether one user group should be banned forever from these trails, or whether to designate the trails multi-use and therefore allow all but motorized recreational activities on them. Hikers and equestrians have always had full use of these trails, as their recreational “modes” have been deemed safe on all county and state park trails, while mountain bikers had limited access in some instances. Although the trails at Vasquez Rocks have always been hikers/horses only, a signage hiccup on Placerita’s Canyon Trail in 2007 allowed cyclists onto the trail, thus turning it into a popular mountain biking venue. When the mistake was discovered last year, the bikers got banned from the trail altogether. This prompted them to launch a campaign to have Canyon Trail – and many other local back-country trails – be turned multi-use. “Our group came about on account of the closure of the Canyon Trail to mountain bikes,” said Ken Raleigh, director of the local mountain biking advocacy group, SCV Trail Users. “It is the issue that touched a nerve in the local mountain biking community and brought together the 500 or so that have signed our petition (in 2011). At the first meeting we had with county officials at the Nature Center, we learned that a similar issue occurred at Vasquez Rocks. So we decided to pursue both issues with the County. 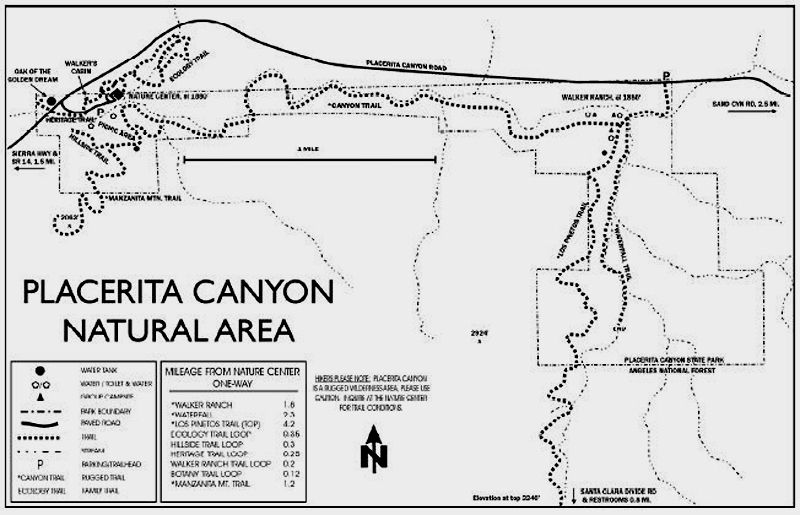 The draft trail assessment reports for Vasquez Rocks and Placerita Canyon state that both parks are designated as Natural Areas, and as such preclude bicycle use within their boundaries. But because Placerita is a state park – operated by L.A. County – different rules apply: Cyclists are allowed in state parks. The draft report for Vasquez Rocks concluded that the half-mile Heritage Trail, which connects two parking lots of the park, was not a feasible option for multi-use based on two findings: Vasquez Rocks is L.A. County’s most archaeologically rich park, and should the trail need modifications to turn it into multi-use, it would adversely impact the park’s cultural resources; and second, mountain bikes are not permitted on the Pacific Crest Trail that runs through Vasquez Rocks. 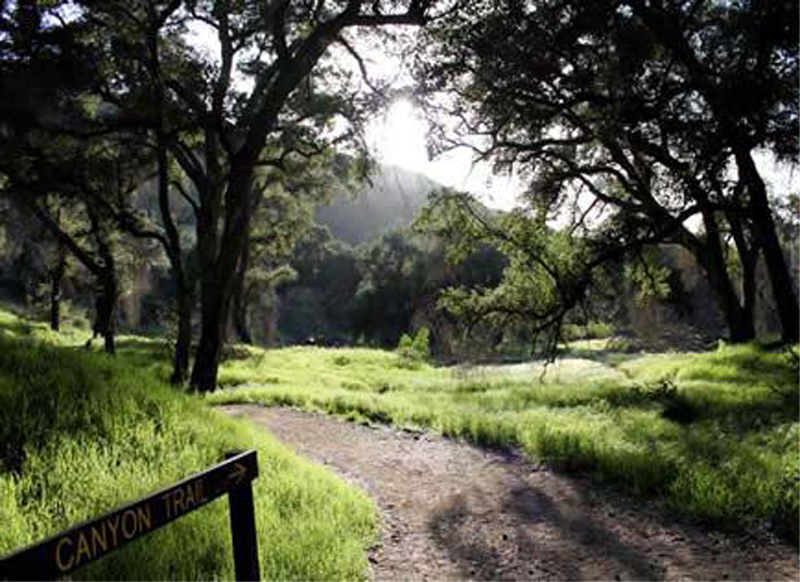 Placerita’s Canyon Trail, however, has been assessed differently. The county’s consultants concluded that although the park has several cultural and natural resources well worth protecting, there was not enough evidence to suggest that turning the roughly mile-and-a-half trail into multi-use would adversely impact the trail and its users – even though this is the park’s most popular trail, with docent-led nature walks and school groups frequently blocking the way near the Nature Center. Safety concerns have already been raised over multiple user groups having to share such a busy trail; without major modifications, the trail might not be suitable for multi-use. Dianne Erskine-Hellrigel, executive director and president of Santa Clarita’s Community Hiking Club, has voiced her concerns on numerous occasions. “I am still trying to digest the changes proposed for the Canyon Trail,” she said. “The trail is not safe the way it is. I know this from personal experience. It seems like a huge amount of money will need to be spent to make the trail safe, and this is money that the county just does not have. The trail traverses a riparian corridor. The mountain biking community argues that bikes have a lot less impact on the environment than horses, and therefore it is unfair to discriminate against them. They advocate for safe and equal access for all non-motorized user groups on SCV trails. Some of the recommendations in the trail reports include pinch points – strategically placed objects that narrow a trail, thus slowing cyclists down; a “walk zone” closest to the nature center; trail re-routing at certain points; new creek crossings; and even widening the trail at sections. One thing all user groups seem to agree upon is that the recommended changes would diminish the Canyon Trail’s primary appeal, namely its natural state and its challenging terrain. “Single-track is way more fun than fire roads, which are a-plenty in SCV by the way,” said Jon Spalding, local hiker and mountain biker. “Fire roads do have their own attraction, since you can hit 30 or so mph on a fire road, but single-track is much more challenging and interesting. “If it can be done in a way to keep the trail safe, with the single track, nature-oriented feel that it has now,” she said, “with permanent pinch points to slow the mountain bikers down, then it could work as a multi-use trail. Not yielding and speeding are the two problems I see. All three non-motorized user groups – hikers, equestrians and mountain bikers – have been organizing their supporters to attend the Thursday meeting in order to get their concerns, thoughts and suggestions heard, and possibly find a mutually acceptable solution ahead of the county’s final decision. The meeting will be held at Hart Hall in William S. Hart Park on Thursday at 6 p.m. If the Bikers would understand that these trails would have not only hikers but horses on them and be mindful of these then most likely they could be shared but bikers tend to not be mindful of in particular a horse and rider which can then throw the rider if it becomes scared or uncomfortable with the bikes at any time. I think that if there were trails specifically for mountain bikers it would be better for both horses and hikers. If responsible horse riders would take the time to acclimate their thousand pound or more animals to all the things they may encounter on a public trail including mountain bikes then we wouldn’t have as much of an issue. There has been a sense of entitlement in the horse community that they don’t have to make any concessions to other trail users and we all need to bend over backwards for them because of the potential for a poorly or barely trained animal to loose its mind. I have personally encountered equestrians on steep mountain trails riding animals so sketchy and flighty they couldn’t handle the sight of my child’s stroller. We all have a responsibility to get along on the few trails we have and mountain bikers do need to follow the rules of good etiquette but so do hikers and horses. Each of our activities bring their own issues to the trails but with common sense and fairness in mind we can all make this work. And before you start saying “That’s just another one of those darn mountain bikers or hikers harping on equestrians again!” I happen to have two horses myself, a small pony for my daughter and a Halflinger. I think we can all use the trails we have fairly and equally without creating world war 3, or turning every trail into a dirt highway. Jennifer, I understand your concerns. Mountainbikes and Horses do not at first glance appear to be compatible trail co-users. But we must not forget that local, county, state and federal trails are the domain of all taxpayers so multi-use must be the goal at all times. Separating user groups into different trails would not only be an inefficient and perhaps unlawful abuse of the public domain but would probably lead to more instances of one or more user groups feeling slighted for not having access to certain trails. As a member of the SCV Trail Users, I can tell you that our group supports safe, multi-use access to all trails and a policy of creating more trails so that all users are spread across a greater number of trails thus reducing the instances of surprise contact. Thank you Jennifer for your thoughtful comments and I hope you will come out tomorrow night and deliver them to the County. See you there?